The MPH Program is a Tier 2 Professional Degree program at Cornell. The tuition cost of the program for the 2018-2019 academic year is $35,736. Other fees and expenses that graduate students might expect are listed on the Graduate School website. Here are variety of resources that you might consider. The MPH Program will award diversity scholarships to MPH students (number TBD each year). This need-based scholarships helps offset student costs related to the MPH degree. Admitted students will be invited to apply so long as they are U.S. citizens or permanent residents and are able to describe how they have been impacted by the following criteria: having to overcome disadvantage; being a first-generation college student; being a graduate student who is a single parent; and/or being a member of an underrepresented minority group (African American, American Indian/Alaskan Native, Pacific Islander, Mexican American, or Puerto Rican; permanent residents whose ethnicity corresponds to these groups (e.g., Other Hispanic, African, or Afro-Caribbean) also meet this criterion). The MPH Program will award global game-changer scholarships to MPH students (number TBD each year). This merit-based scholarship helps offset student costs related to the MPH degree. Admitted students will be invited to apply so long as they are U.S. citizens or permanent residents and are able to describe how this program will improve their ability to change the world. Applicants must show that they have: lived and worked (paid or volunteer) in an under-served area (U.S. or international); developed an understanding of inequity and privilege through experience; and developed an appetite for inquiry and a desire to better understand social determinants of health, and policy and access structures, that limit or facilitate public health. Community Engaged Student Travel Grants – The Community-Engaged Student Travel Grants fund students for winter or summer break community-based research activities or service-learning projects. 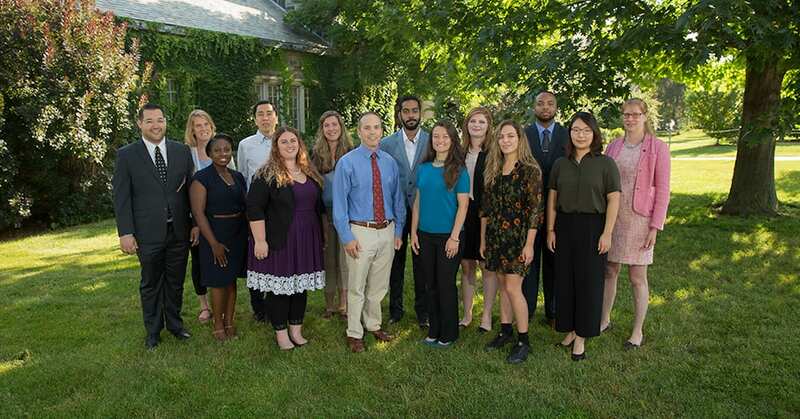 International Research Travel Grants– Direct funding for Cornell students sponsored by the Mario Einaudi Center for International Students to encourage research and field work in countries outside the United States. Each year this competitive program supports 80 to 100 graduate and professional students from all fields of study. International Program Fellowships– Funding in the form of fellowships is offered to students through several programs. Academic Diversity Scholarships– The OADI Individual Student Funding Program provides funding opportunities for active OADI program participants. There are many part-time campus positions that are listed on Cornell’s Student Employment website. Positions can be found in campus libraries, administrative offices, dining, and residential housing. The Graduate School currently participates in two federally funded graduate student loan programs: the William D. Ford Direct Loan and the Federal Graduate PLUS loan. These programs are available to U.S. citizens and permanent residents who are matriculated in the degree program. For specific eligibility requirements and application instructions, please visit the Graduate School website.You may complete the Free Application for Federal Student Aid (FAFSA) form at any time, even before admission to the program. We suggest that you complete this form ASAP. There are many sources of funding to help offset the cost of education. Consider looking through these resources to see if one is a good fit for you.